I totally am in love with Christmas. 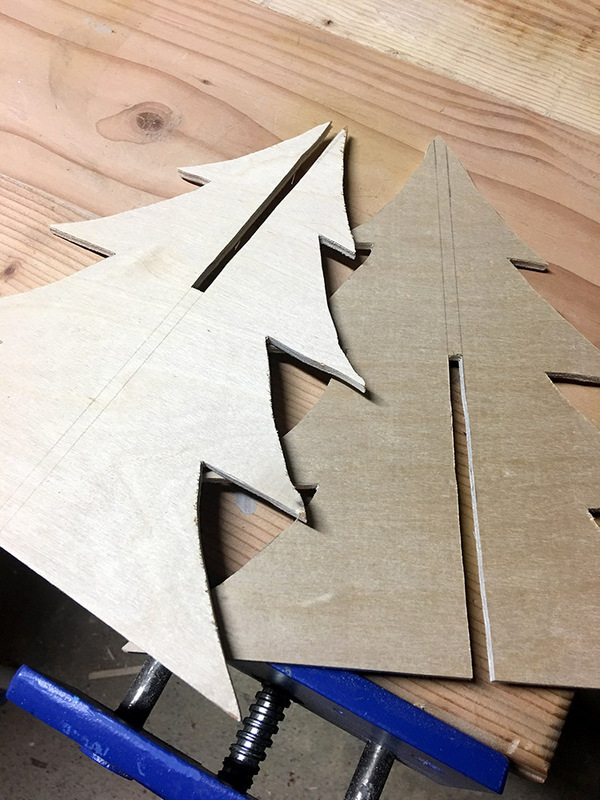 This year, we’ve been making a bunch of our own Christmas decor, and I don’t know why we haven’t tried this sooner! Last week, we made a wooden star door hanger. 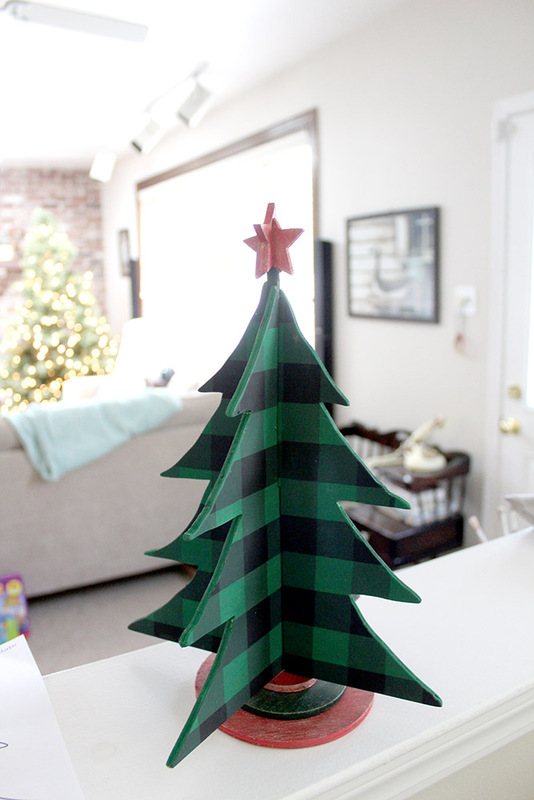 And, this week I’m so excited to share with you this tabletop buffalo check Christmas tree. 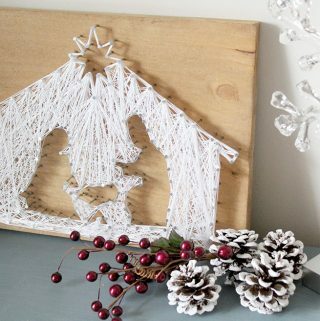 Wondering why of all of these Christmas projects? Because we are collaborating with dozens of other bloggers in the Deck the Home Holiday Blog Hop, bringing you FIVE WEEKS of amazing holiday projects. After you check out the buffalo check (see what I did there?! ), scroll down to see all of the other projects in the Deck the Home hop this week! The theme is wooden projects. 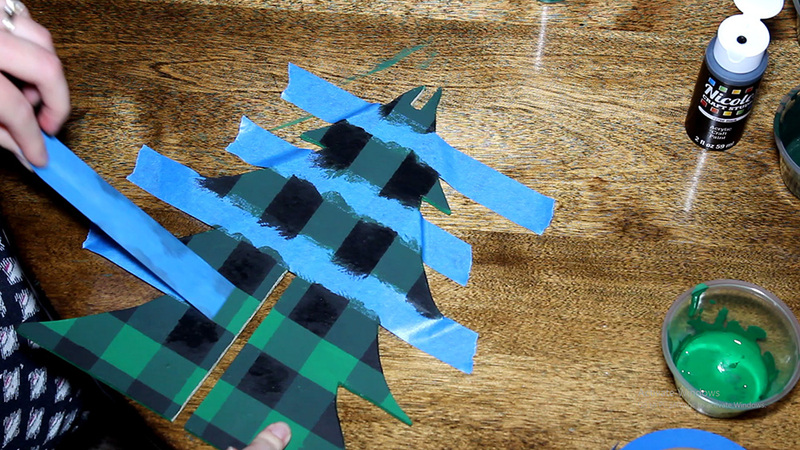 The tabletop Christmas tree is made out of plywood, and I painted on the buffalo check print. Pretty cool, right?! 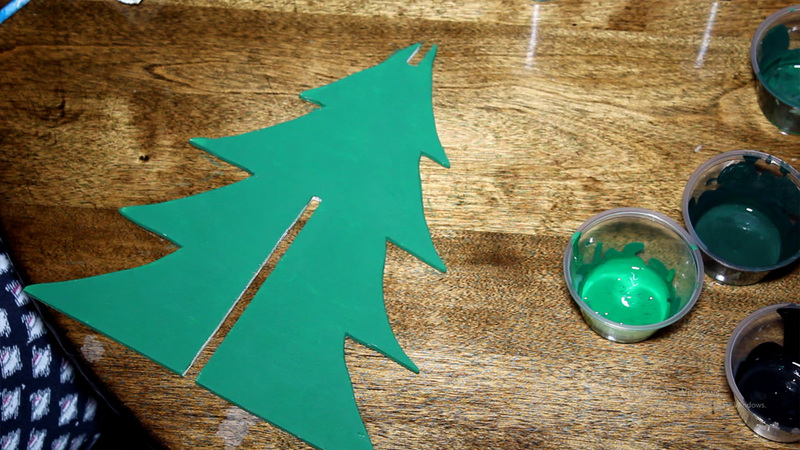 Below are the easy instructions so you can make your own wooden Christmas tree. 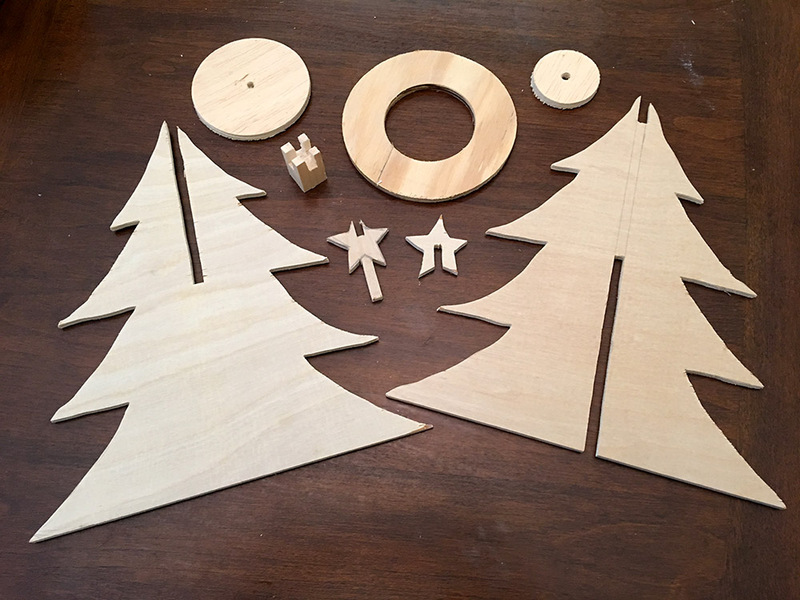 Free templates for the tree, star, and stand – see below! To start, I sketched out an outline of a tree on some paper. 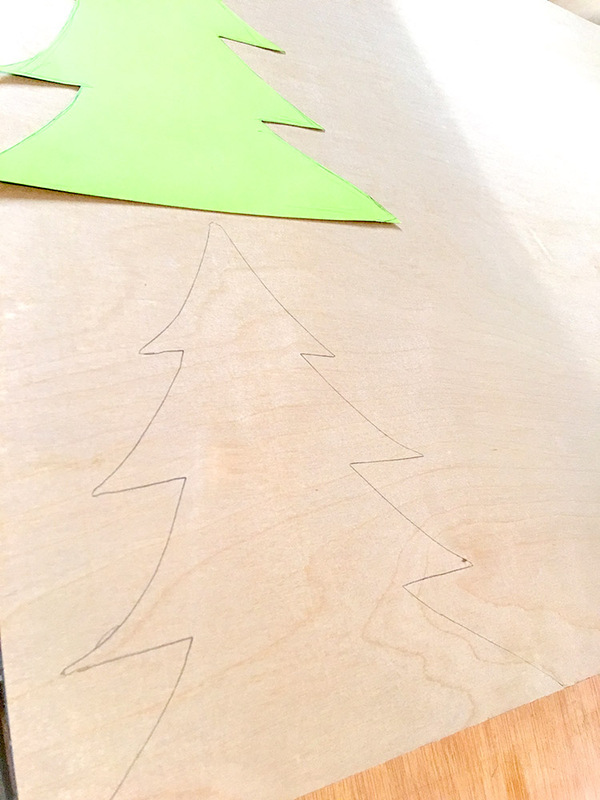 Once I was happy with the design, I cut it out with some scissors and traced the cutout on some plywood. Notice the center lines I made on the cutouts with my pencil. The shaded areas were marked for me to cut out so that the two trees could intersect with each other. Here are the trees with the intersection slots cut out. 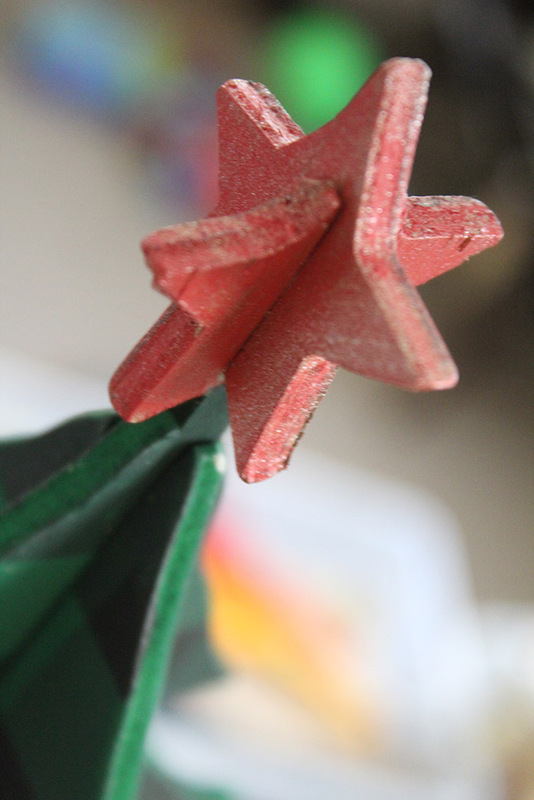 Next, I made the star topper using the same intersection method as the tree. I cut out two stars and cut a notch in the middle to allow them to join. 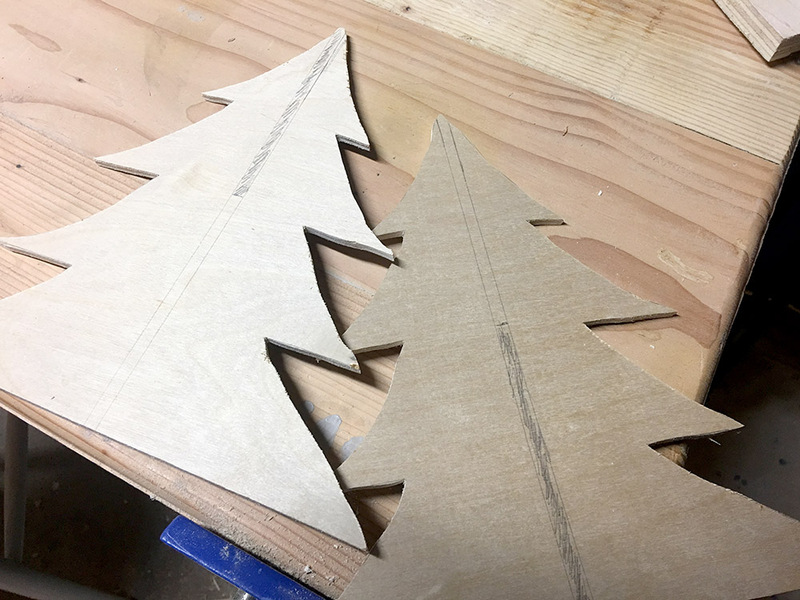 For the base of the tree, I just layered three circular plywood cutouts, which were to be glued together. The largest cutout (the lowest one) had a smaller circle cut out in the middle (making a ring shape). This extra cutout was to hide some batteries for an LED light string. I did take some extra time to cut out a tree trunk (looks like an upside down stool), but opted not to use it in the finished tree. Now that all three elements were completed (base, tree and star), it was time for everything to be painted. 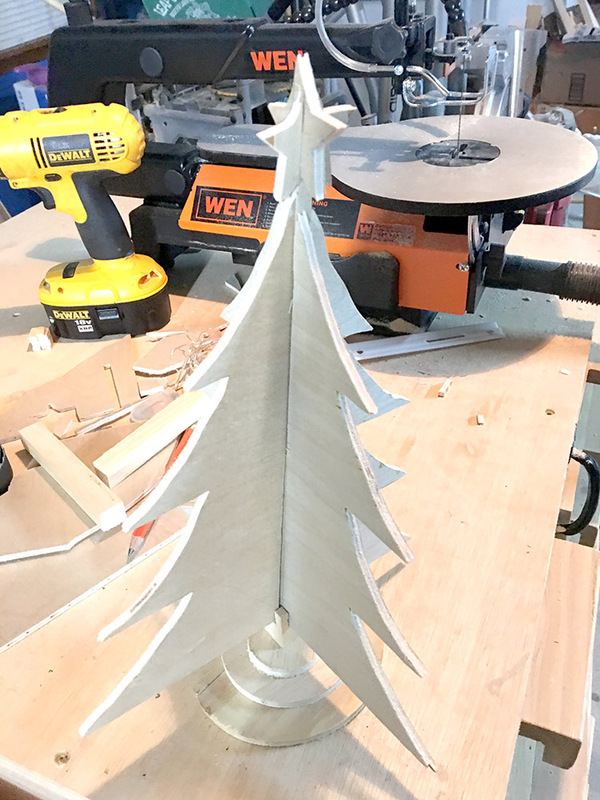 Here is the unfinished constructed wooden tabletop Christmas tree. 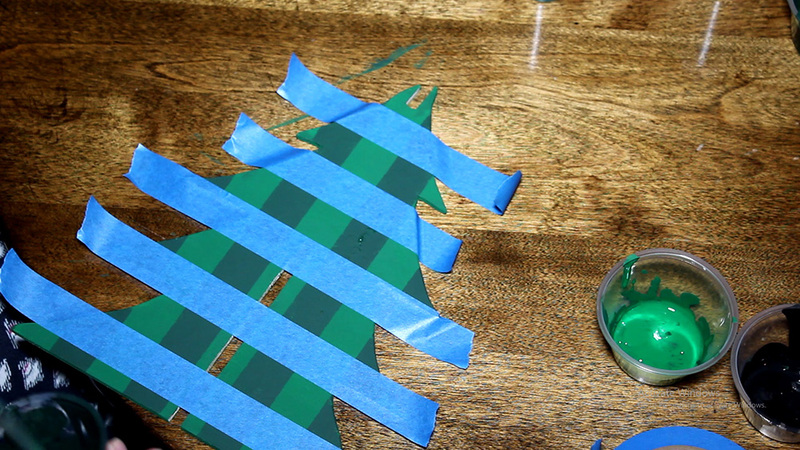 To paint the wooden tabletop Christmas tree, I decided on a green buffalo check pattern. I absolutely LOVE plaid and I also love a challenge. The best part of this was you basically only needed two things – paint and painter’s tape. Check out the video below to see how I painted the buffalo check pattern. First, I highly highly recommend that you do at LEAST one practice piece before you start your real piece. Second, you’ll need 4 different paint colors. You’ll use your main color (green), you’ll use black, and then you’ll mix in-between shades. So first, you’ll want to mix your paint. I used four small cups and put green paint in one and black in another. Those two paint colors would be used as is. You’ll take the remaining two cups and put your base color (green) in. Then you’ll add a little bit of black to each. Basically you want two shades in-between your base color and black. So, I went from green to dark green to very dark green to black. You definitely want to make sure that you test the shades on your surface to make sure they look different enough. After your base coat is dry, you will take your painter’s tape and start making vertical stripes with it. There’s an easy way to do this, and that’s by using a piece of painter’s tape as your spacer. So, you’ll take a strip of tape and place it on the edge of the tree going left-t0-right. You’ll push this piece down. Then, you’ll put another piece of tape right next to this one. Don’t press this down – this is your spacer. You’ll take a third piece of tape and place that down. Push that one down. Next, remove the second piece – the spacer – and place that on the other side of the third piece, without pushing it down. You’ll take a fourth piece and push that one down. Remove the spacer piece before to use on the other side. Continue this way – using the spacer piece as your guide until you reach the end. 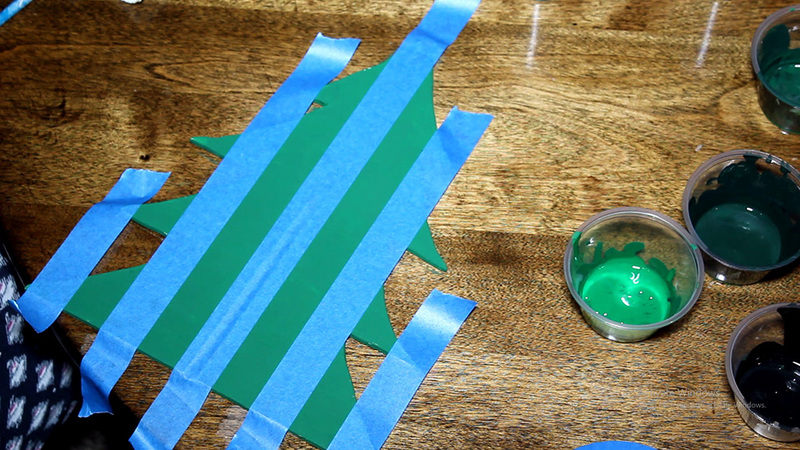 Once you have your tape in place, take your second color (dark green) and paint the areas not covered by tape. When painting, use a brush and DAB on the paint. Do not use brush strokes because the brush hairs will get under the tape. So, just lightly dab on the paint until you have full coverage. 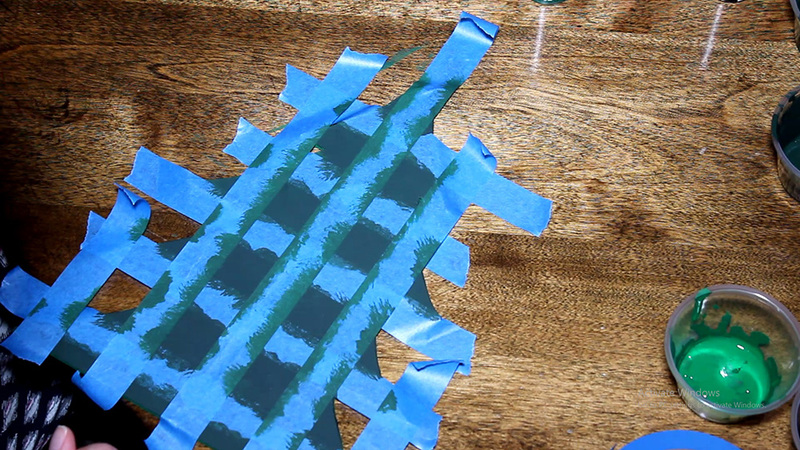 You can remove the tape – and let it dry without the tape. This time you are going to do horizontal stripes. Start at the top of the Christmas tree and lay down one piece of tape. This time the first piece will be your spacer. So after you lay down the second piece of tape (pushing this one down), remove the first one. Continue to use the first piece as your spacer. 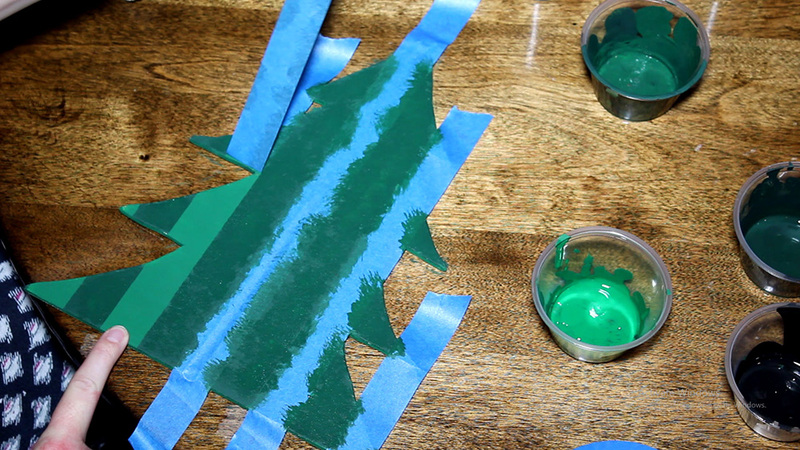 Once the tape is down, use your third color (very dark green) and dab the paint on. This will feel kind of weird – because it seems like you are painting over all your hard work. However, keep going and you will get the results you want. Do NOT remove the tape this time. Let it dry with the tape on. The last coat of paint will go on over this tape. This is part is a little tricky. You are going to put down vertical stripes again – but you have to line them up perfectly with how you laid down the first round of tape. That’s why we used the spacer piece. So if you’re perfectly laying the spacer piece down both times, you’ll have no problem. However, I recommend using a very bright light. If you aren’t working under a very bright light, have someone hold their phone up with the flashlight on – so you can see the lines through your paint. This way, you will see if you are laying the tape down right. So, just as we did before, lay down the first piece of vertical tape. Push that one down. Put the spacer down as the second piece. Lay down your third piece of tape. Push that one down and remove the spacer before. As you are working, try to make sure you are accurately laying the pieces down, just as you did before. Last, peel off all of the tape (you don’t have to wait for it to be dry) and you’ll be amazed with the beautiful buffalo check pattern! You’ll also want to give your star and stand a coat of paint. I used regular acrylic colors and then some glittery gold metallic paint on top. Once all the pieces have been painted, I applied some wood glue and assembled everything together. Here is the final result! I love to tell you how much I spend on each of these crafts! This is another ZERO dollar project. And if you have a string of lights laying around like we do (from a robot scarecrow we made last year), you can even light your tree up. It’s the second week of our Deck the Home Blog Hop, where we are collaborating with 25 talented DIY bloggers! 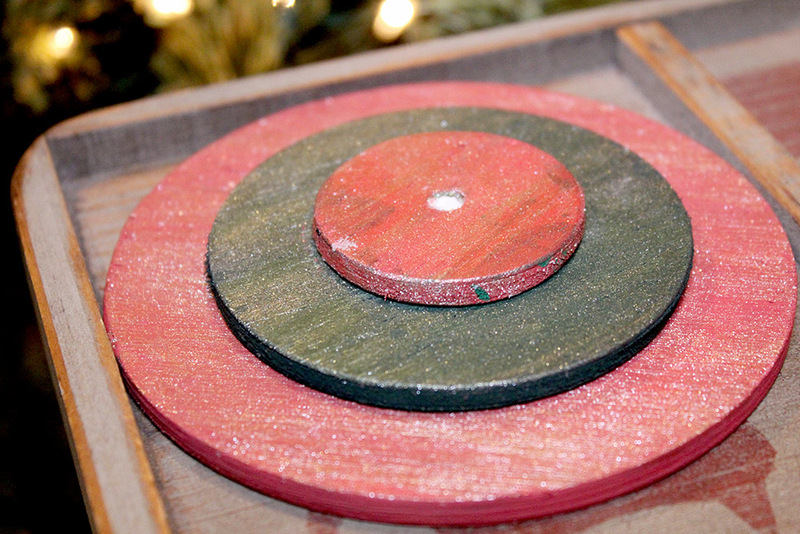 Check out all of their holiday DIY projects or see my favorite holiday wood DIYs. These turned out amazing!! I am so impressed! And I love the buffalo check! Adding this to my must make list! Aww you’re so sweet, Samantha. I LOVED your project this week!! Simply amazing!! 🙂 I need to go to hobby lobby stat! Oh my gosh, I LOVE how this turned out! So great! Thanks so much, Carmen!! 🙂 I loved yours this week too! This is adorable! The buffalo check turned out so well. Love! Thank you! What a beautiful piece with so many details. You are so talented. I love this! 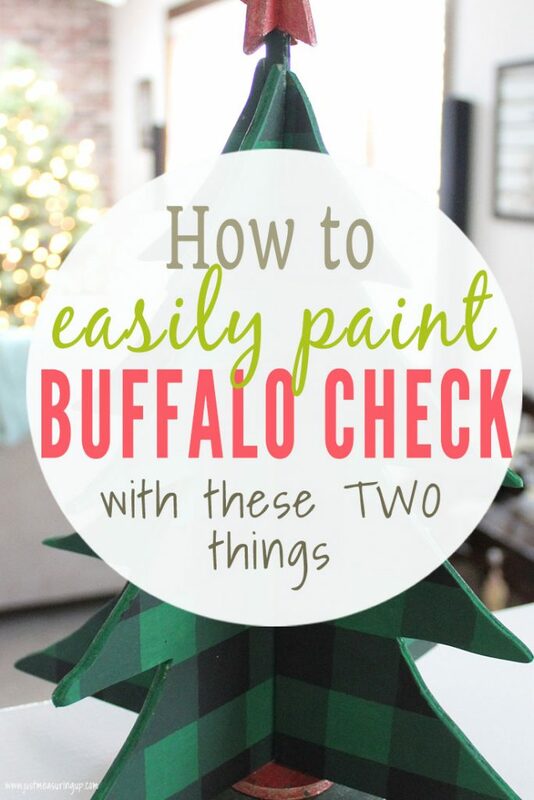 And the tips for painting buffalo check are great! Thanks, girl!! 🙂 I just put a video up too! Thank you for explaining how to paint buffalo check!! And again you knocked this project out of the park! What a fun Christmas tree for any room in your home! Thanks for the tutorial! This turned out great! I saw your instagram story and couldn’t wait to see it finished! 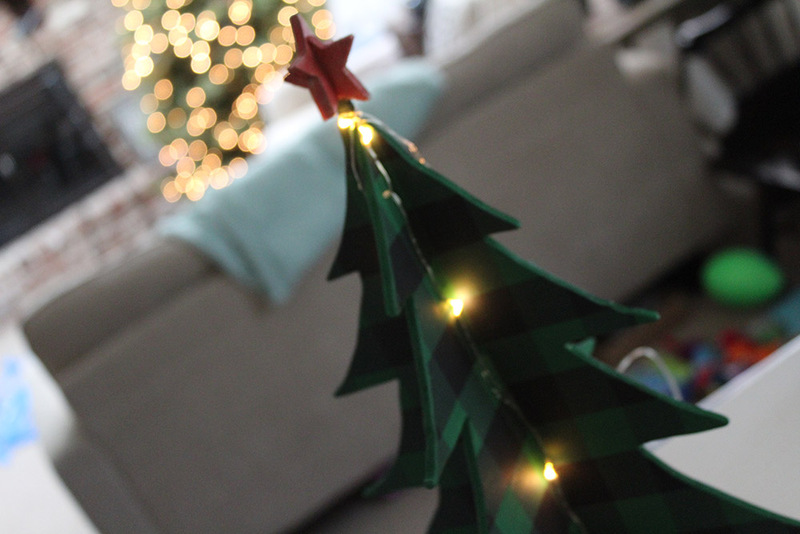 DIY Christmas decor is so much fun, you did a great job on this tree. 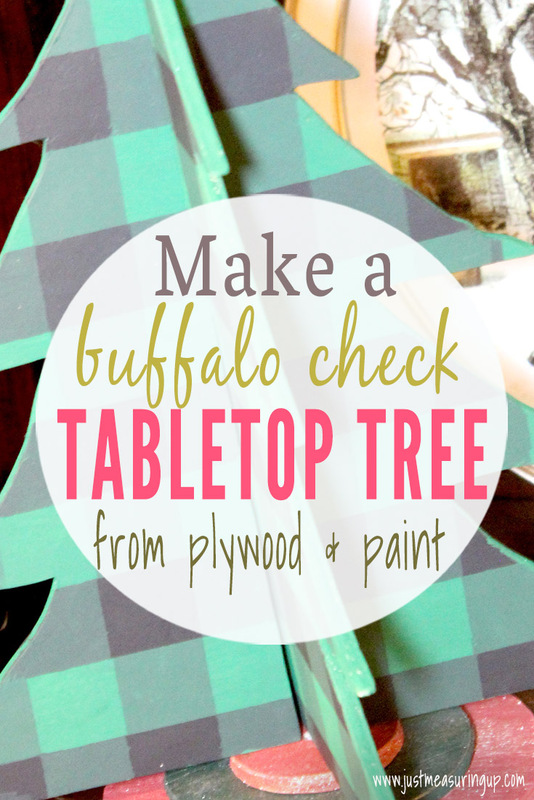 Great tips for painting buffalo check too! Your little tree turned out so cool. I also haven’t made much decor for Christmas until the last year or so. It’s crazy that we wouldn’t since we like to DIY all the things. Eileen this is so cute!!!!!!!!!!!!!!!!! I’d love to make a whole bunch as a centrepiece! This looks great! I love the buffalo check! This tree is awesome, Eileen! It would be great painted green, but the buffalo check put it over the top! And I love that you made it for free with supplies you had on hand. Hahaha thanks, Rebecca. Free is always my goal 🙂 Yes, now I just want to go buffalo check everything! Oh my goodness this is awesome! It’s so pretty! I’m absolutely loving the green too! Great job! What a fabulous multi-faceted tutorial! I totally wan to go Buffalo check something immediately!! Your tree turned out so nice! It would be the perfect decoration for a dining room center piece, a sideboard, bar, bathroom, a bed side table, a mantle or bookshelf or even a covered porch or patio- the possibilities are really endless! 🙂 Beautiful Job! 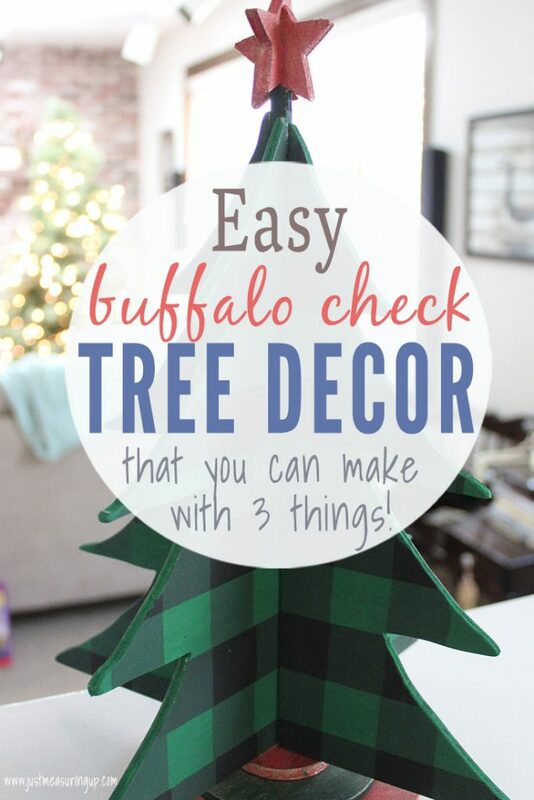 Thanks so much for your sweet compliments, Christine 🙂 Yessss, go buffalo check all.the.things 🙂 It makes me just want to make more happy little trees. This is so cute and would look awesome on the dining room table as a centerpiece! 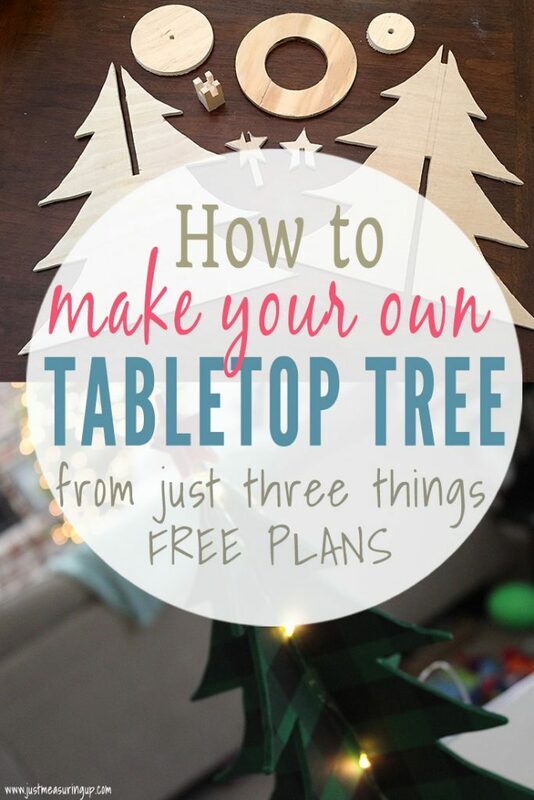 This is great for my family, the kids are allergic to Christmas trees! 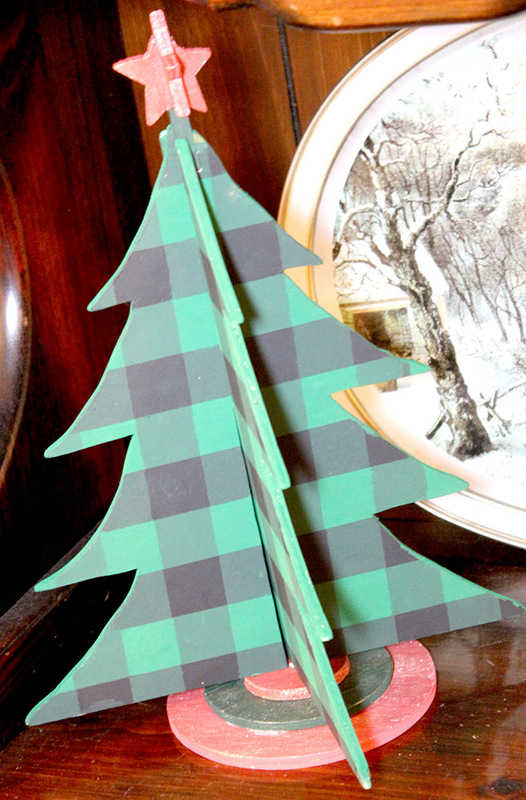 Buffalo Plaid is all the rage this year and I love the way you have used it! These three dimensional trees would be a gorgeous centrepiece for a Christmas table!